What Happened to the MCI’s? 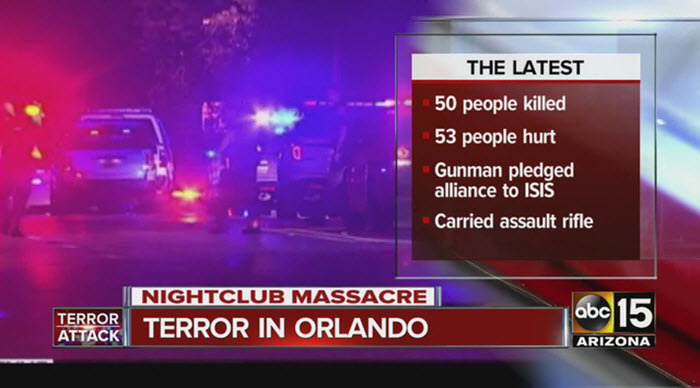 Has anyone other than me noticed that as of July 30, 2017, 59 weeks (1 year 7 weeks) have gone by since the last mass casualty incident (MCI) of June 12, 2016: The Orlando nightclub shooting when 50 were killed and 53 injured in Orlando Florida? A mass casualty incident (often shortened to MCI and sometimes called a multiple-casualty incident or multiple-casualty situation) is any incident in which emergency medical services resources, such as personnel and equipment, are overwhelmed by the number and severity of casualties. Note that since November 8, 2016, when one of the most shocking U.S. elections in modern political history elected Donald Trump, there have not been any mass shootings that the conspiracy theorists labeled as false flags or hoaxes. As of July 30, 2017, we have exceeded the longest time interval between MCCIs by 4 weeks, since Obama was elected for a second term. Click here to read research supporting that there have been no MCCIs (that fit the definition above) since June 12, 2016. Prior to July 30, 2017, the longest interval between MCCIs was 55 weeks and 6 days from May 23, 2014 (6 dead, 7 wounded) in Isla Vista, California; to the June 18, 2015, attack in South Carolina (9 dead). Prior to the Isla Vista shooting, there was an interval of 27 weeks and 4 days from the December 2, 2015, shooting in San Bernardino, California, when 14 people died and 22 were wounded, to the June 12, 2016, Orlando nightclub shooting, 50 dead and 53 injured. 3 days: From the Nov. 29, 2015 shooting in Colorado Springs, Colorado, where 3 people died and 9 were injured; to the December 2, 2015 shooting in San Bernardino, California. 8 weeks and 3 days: From Oct. 1, 2015 (9 dead, 9 injured) in Roseburg, Oregon, to the Nov. 29, 2015, attack in Colorado. 11 weeks and 0 days: From July 16, 2015 (5 dead, 3 wounded) in Chattanooga, Tennessee, to the Oregon attack. 4 weeks and 0 days: From June 18, 2015 (9 dead) in Charleston, South Carolina, to the Tennessee attack. 55 weeks and 6 days: From May 23, 2014 (6 dead, 7 wounded) in Isla Vista, California, to the South Carolina attack. 7 weeks and 2 days: From April 2, 2014 (3 killed; 16 injured) in Ft. Hood, Texas, to the Isla Vista attack. 28 weeks and 2 days: From Sept. 16, 2013 (12 killed, 3 injured) in Washington, D.C., to the Texas attack. 14 weeks and 3 days: From June 7, 2013 (5 killed) in Santa Monica, California, to the Washington, D.C., attack. 25 weeks 0 days: From Dec. 14, 2012 (27 killed, one injured) in Newtown, Connecticut, to the Washington, D.C., attack. A total of 33 people have since been killed in vehicle-and-knife rampages on London Bridge and Westminster Bridge in the capital as well as in a suicide bombing outside an Ariana Grande concert in Manchester. The recent shootings have not spawned the “conspiracy theories” because there are no obvious anomalies and discrepancies. The MCCI false flags and hoaxes, according to conspiracy theorists, are shootings where you can’t reconcile the narrative with the obvious anomalies and discrepancies. Initial images and videos show no ambulances, no blood or dead bodies, and very often the responders are from federal agencies doing a drill just a mile away. The best MCCI example is the December 14, 2012, shooting at Newtown, Connecticut. An article by Makia Freeman, 33 Unanswered Questions On Sandy Hook’s 3rd Anniversary is questioning that anyone died at Sandy Hook. For me, it is not surprising that Makia Freeman, along with the alternative media, believes that no one died. Looking at the alleged false flag events you can see a not-so-hidden hand going to a lot of trouble to convince anyone investigating the events that no one died at the Sandy Hook Elementary School. The statistical probability that the anomalies and discrepancies in these mass shootings are just a series of chance occurrences is highly unlikely, therefore you could come to the conclusion that no one really died. However, what should have been obvious to the conspiracy theorists is that the shadowy figures behind these “false flag” mass shootings would have had no problem killing the people to accomplish their nefarious agenda. What do we know about these mass shootings? The Sandy Hook massacre, the worst school shooting in U.S. history, could never have been a false-flag hoax with crisis actors so Obama could get political support for a ban on assault weapons and a watered down 2nd amendment. Why? If the plan was to disarm American citizens by carrying out massacres like Sandy Hook, then you have to ask yourself, what’s the point? What are Americans doing during Obama’s full-scale attack on the 2nd amendment? Answer: They are arming themselves to the teeth. * Colorado was flooded with a record 4,200 gun-buyer background requests. Gun sales surged after the Connecticut massacre. * The Colorado Bureau of Investigation says it set a new record for single-day background check submittals. * In San Diego, Northwest Armory gun store owner Karl Durkheimer said, “Saturday was the biggest day we’ve seen in 20 years. In southwest Ohio, from dawn to dusk, a Cincinnati gun show had a line of 400 people waiting to get in, said Joe Eaton of the Buckeye Firearms Association. Did you know they could have taken away all of our rights and guns since 1962? In late 2001, after 9/11, Defense Secretary Donald H. Rumsfeld created the Pentagon’s Office of Strategic Influence (OSI). OSI activities include strategic influence, special plans, psychological operations (psy-ops), and perception management. The DoD has identified the information domain as its new “asymmetric flank.” The level of use of perception management continues to grow throughout the military. There are now specialists, known as psychological operations officers and civil affairs officers, whose sole purpose is to decide how to present information/propaganda to the media and to the people. The National Defense Authorization Act of 2012 authorizes the dissemination of real fake news. Let’s look at the characteristics of the “False Flags:” the legal propaganda from the Department of Defense, found in Sandy Hook, San Bernardino and Orlando. 1. Eyewitnesses have conflicting accounts creating ambiguity. As the ambiguity increases the perceiver finds it harder to form an accurate perception. The Orlando shooting was in the middle of the night and in a dark nightclub. The officials say there were 53 injured though only two people were seen on stretchers and just a few victims are triaged on the road. No ambulances were allowed near the injured. The injured are seen walking out helping each other with dozens of police cars surrounding them, but not one rescue medic anywhere and not one ambulance anywhere near the injured. 3. No obvious motive for the mass attack and no prior indicators. Shooter leaves manifesto or lots of evidence “proving” they were “radicalized” or “on drugs” or other were other undesirables: Multi-channel support – have multiple arguments and fabricated facts to reinforce your information. The FBI admits that they had picked up Omar Mateen twice before to question him about two terror-related events, but both cases were closed. To the Anonymous Patriots this sounds a bit like the play that occurred with the San Bernadino shooters—Tashfeen Malik and Syed Rizwan Farook. The FBI identifies the Muslims, picks them up for questioning, but then releases them because there are no grounds to hold them. Later they wind up slaughtering a room full of people. There is no obvious motive for the mass attack. Then lots of evidence starts to come in to prove that the shooter was “radicalized.” It is not a surprise that news reports indicate that a family member said Mateen went crazy when he saw two men kissing in public. This is offered as his proof of “radicalization.” Yet, the FBI, who certainly knew that Mateen had a conceal carry permit, thought so little of his involvement with terror that they closed both cases on him and let him maintain his conceal carry permit. Overnight, Mateen “goes radical,” and calls 9-11 with his manifesto. Sound familiar? Tashfeen Malik made her confession on Facebook while she was allegedly gunning down victims at the Inland Regional Center in San Bernardino. Then Mateen goes out and purchases an automatic rifle just two weeks prior to the shooting today and uses it to gun down over 100 people—some dead and others wounded.How did he learn to shoot a gun like this? Has anyone seen him at an Orlando practice range? That is darn impressive that he could walk into a noisy nightclub, dominate the scene, take 30 people hostage, after killing and wounding over 100 people, then fighting off the police for 3 hours, all the while, setting off a bomb to insure that there was no crime scene that could be investigated. Sound familiar again? Think back on the San Bernardino shootings where the FBI left the Malik-Farook house open for reporters to spoil the crime scene. 4. Families of “victims” have acting backgrounds and receive payoffs in GoFundMe accounts and direct payoffs, especially mortgages. They often show little to no emotion, and even smile or laugh. The lie perpetuates and the “official story” is shaped by the media into truth: Untruthful statements – fabricate the truth. 5. Fake “victims” and crisis actors: Centralized control – employ entities to promote propaganda.The Orlando shooting event involved over 100 people killed or wounded but only two made it into ambulances on any news video. In the last 24 hours only five “victims” have been identified; although Mateen’s identity was leaked to the press within five minutes. The Crisis actors performances were below average, because only a few pathetic witnesses spoke to the press with wildly different stories each time they spoke and the actors did not appear to be dressed in clubbing attire for a gay nightclub. Not one family was interviewed and the police would not allow a vigil so that the “crisis actor families” would not be out on the street making fools of themselves as usual.Where is the coroner? Just like in the San Bernardino shootings, you don’t see enough ambulances showing up to take fifty dead people to the morgue, much less taking the wounded to the hospital. No blood and gore; and in Orlando, like San Bernardino, there are no bodies draped in white sheets or zipped into body bags or signs that the few victims “triaged” on the street made it to an ambulance or received first aid. Just because you don’t see “enough ambulances showing up to take fifty dead people to the morgue, much less taking the wounded to the hospital,” isn’t proof that no one died or was taken to the hospital. Equally obvious is the fact that killing the people, and then making people believe that no one died, is a whole lot easier than actually NOT killing anyone. These mass shootings are classic Russian doll conspiracies to keep anyone from finding the real truth about what really happened. To this day we have yet to see a single body – or even a casket – of those murdered at the Newtown School. And what about the first responders? Why were they not allowed to enter the school until DAYS after the murders? Why haven’t we heard from even one of them? Roberts is placing his bet on gun control which makes no sense. Even if it is a nefarious Agenda 21 to take away our assault rifles, then why wouldn’t they kill the people? Does Paul Craig Roberts really believe the deep state has a conscience and cares about killing innocent people including children? Again consider the Orlando Pulse night club shooting, what would be easier to accomplish? 2. Not kill the people, and then make sure the media reports that none of the victims have blood on their clothing, even though one guy (Christopher Hansen) said he had to “crawl over bodies” to get out of the club. How can you crawl over bodies (plural) that have been riddled with bullets and not get blood on you? Again, making people think no one died would be a whole lot simpler than faking the deaths and injuries, and then making sure that several hundred people involved never tell anyone the event was a hoax. I personally investigated Sandy Hook, San Bernardino and Orlando and I am sad to report, that the victims are real and the people really died. Did I mention that ever since November 8, 2016, when one of the most shocking U.S. elections in modern political history happened there hasn’t been been a mass casualty conspiracy incident (MCCI)? In late 2012 the use of professional actors for a variety of roles in “live shooter drills” was becoming common practice. Indeed, as the Sandy Hook massacre event was dominating the news cycle crisisactors.org even maintained a department of “Crisis Actors News”–hyperlinked headlines of stories on active shooter drills where its stable of actors are presumably engaged. BUT only in America. Obama continued to order the child-killing drone massacres overseas. And in one of those coincidences that don’t happen very often on January 13, 2013, a prominent American blogger and computer prodigy Aaron Swartz, who spoke against the targeted killing operations carried out by US assassination drones, was found dead in New York City. In 1962, JFK signed Executive Orders 10995 through 11005 and ended what was left of the Constitution and the Bill of Rights after the south lost the civil war. 10995 through 11005 allowed the government to seize and control all forms of communication and their infrastructure (voice ,data, media), energy (electrical power, gas, petroleum, fuels and minerals), transportation (vehicles , aircraft of any kind, highways, seaports, and waterways), designates the Postmaster General to operate a national registration and of course all food resources and farms.A president could now declare martial law and direct ,FEMA to take control of local, state, and national governments using ‘National Police Force”, formally referred to by the name of Multi Jurisdictional Task Force (MJTF), comprised of specially selected US military personnel (Blackwater) and foreign military units carrying United Nations ID cards (because they know Americans are reluctant to fire on their fellow Americans).And of course Rex 82 allowed Reagan to implement Emergency Mobilization Preparedness. Where socio/economic regulations or other legal constraints would be waived in the event of a national emergency. The Rex 84 Program was established on the reasoning that if a “mass exodus” of illegal aliens crossed the Mexican/US border, they would be quickly rounded up and detained in detention centers by FEMA. Rex 84 allowed many military bases to be closed down and to be turned into prisons. Rex 82 and 84 allowed the President, for any reason, to declare, earthquakes international tensions or even a financial crisis a national emergency and then FEMA can, implement Executive Orders 10995 through 11005. A president could now declare martial law and direct, FEMA to take control of local, state, and national governments using ‘National Police Force”, formally referred to by the name of Multi Jurisdictional Task Force (MJTF), comprised of specially selected US military personnel (Blackwater) and foreign military units carrying United Nations ID cards (because they know Americans are reluctant to fire on their fellow Americans). And of course Rex 82 allowed Reagan to implement Emergency Mobilization Preparedness. Where socio/economic regulations or other legal constraints would be waived in the event of a national emergency. The Rex 84 Program was established on the reasoning that if a “mass exodus” of illegal aliens crossed the Mexican/US border, they would be quickly rounded up and detained in detention centers by FEMA. Rex 84 allowed many military bases to be closed down and to be turned into prisons. Rex 82 and 84 allowed the President, for any reason, to declare, earthquakes international tensions or even a financial crisis a national emergency and then FEMA can, implement Executive Orders 10995 through 11005. Through the 2012 National Defense Authorization Act the US government has the legal regulation to use propaganda against foreign audiences and American citizens.The intention is to sway public opinion by using television, radio, newspapers, and social media targeting American and foreign targets in controlled psy-ops or perception management. A Truther is a person who doubts the generally accepted account of an event, believing that an official conspiracy exists to conceal the true explanation; a conspiracy theorist.The 9/11 Truthers are organizations and individuals that believe in a conspiracy that the United States government, agencies of the United States or individuals within such agencies, were either responsible for or purposefully complicit in the September 11 attacks.The Sandy Hook and San Bernardino Truthers believe in a conspiracy that the massacres were a hoax and that the victims were crisis actors and no one was actually killed. Non-disclosure agreements were also imposed upon all of those who were involved in the demolition of the Sandy Hook Elementary School Building FOR LIFE, which meant they could not disclose what they saw or did not see, such as no blood on the floors and no pock marks from bullet holes in the walls.